When it comes to dining out as a family, nothing can be more exciting than an all you can eat buffet in Brisbane. With an endless stream of options at your fingertips, the buffet dinner for families in Brisbane experience is nothing short of memorising! However, many parents may try to steer clear of the ‘all you can eat’ promotion due to the disheartening bill at the end of the night. However, a collection of all you can eat restaurants and venues throughout Brisbane are offering extensive smorgasbords for thrifty prices. This is ultimately making the experience much more realistic and attainable. How exciting! Ranging from all you can eat sushi to all you can eat seafood, here’s the best list of all you can eat Brisbane buffets that are worth your time. We’ve broken them down by days of the week, but read on as each restaurant may offer more than one day! 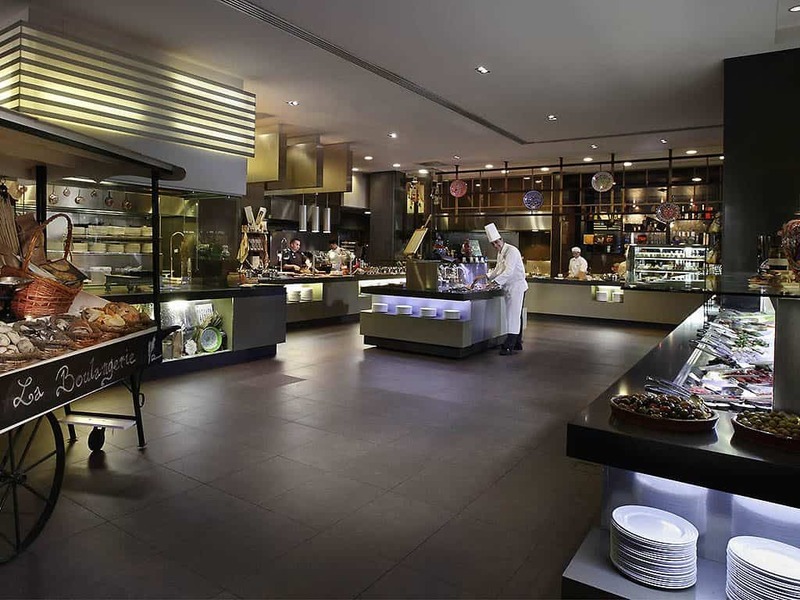 The Sofitel’s Thyme2 Restaurant hosts an all you can eat buffet that you won’t soon forget. To kick off the day, kids can enjoy an omelette station, fresh juice, pastries, and International dishes. The Lunch and Dinner menu offers local seafood such as prawns, Moreton Bay bugs, and mussels, along with fresh salad, slow-cooked roast, curry, and much more. To top it off, children can finish the meal with the renowned chocolate fountain. Kid’s prices start at $17 for breakfast, $28 for Lunch, and $40 for Dinner. Hotel Richlands hosts an all you can eat buffet that the whole family can enjoy. Ranging between Asian cuisines to Mediterranean dishes, the buffet options are consistency growing and changing. Kid’s prices start at $9.95 for Lunch and Dinner, with a ‘bottomless soft drink’ option costing an addition $4.95. The Greenbank RSL’s Grange Buffet is sure to have a little something for everyone dining in. The venue offers a sushi train, alfresco dining, and teppanyaki cooking. Head down on Friday and Saturday nights for a generous variety of seafood. Children’s prices start at only $6 and kid’s under 4 years of age eat free. The Buffet World Restaurant has a wide selection of items specifically for both parents and children. Kids can choose between hot chips, chicken nuggets, fish, spring rolls, pork dim sims, curry puffs, potato scallops, garlic bread, pizza, and much more. The buffet also offers Asian dishes, roasted meats, pasta, soup, seafood, and dessert. Children’s prices range from $3 to $14 for Lunch or Dinner, depending on age. The Springwood Hotel’s Feast Buffet hosts a generous range that everyone can appreciate. The buffet offers soups, roasted meats, pizza, pasta, Asian dishes, fresh salads, and dessert. The Feast is open 7 days a week. Children’s prices range from $5 to $12.95. Kids under 3 years eat free. Kick your day off to a great start with Lambert’s full breakfast buffet. Enjoy fresh juice, along with an array of classic, healthy options. The buffet costs $32 per person and is open from 6 am to 10 am (Monday to Friday) and 6:30 am to 10:30 am (Saturday and Sunday). Due to the restaurant’s convenient location, many people decided to take a stroll after breakfast to take in the beautiful views over the Brisbane River. Nikuya’s 90 minute BBQ Buffet offers a Japanese all you can eat meal for the whole family. Enjoy beef, pork, and chicken dishes, along with an extensive list of appetisers, vegetables, seafood, sashimi, and more. To top it off, patrons can also enjoy all you can eat sushi. Nikuya’s BBQ Buffet runs from Tuesday to Sunday from 5:30 pm. Alternatively, there’s also a BBQ Buffet Lunch available from 11:30 am to 2:45 pm. Kids under 5 years of age eat free, and kids from 6 to 11 years eat for half price. Hanwoori’s Korean BBQ Buffet provides an extensive range of dishes that can satisfy anyone. Enjoy the venues BBQ Bar, comprised of rump steak, oyster blades, marinated pork, chicken breast, calamari, octopus, ribs, thin beef, pork belly, sausages, prawns, and vegetables. Alternatively, the Hot Food Bar boasts braised chicken, fried pork, corn, rice cakes, deep fried chicken, steamed vegetables, fried rice, and much more. Finally, the venues also offers a generous range of side dishes and salads to go with each meal. Buffet prices are $33.90 per person. The Kedron Wavell’s Thr3e Restaurant is Chermside’s only buffet restaurant. The buffet is open from Wednesday to Saturday (Lunch from 11:30 am; Dinner from 5 pm) and Sunday (Lunch from 11 am; Dinner from 5 pm). Visit on Sunday to enjoy the restaurant’s ‘Roast Day’, which includes three types of roasted meats, seasonal vegetables, salad, soups, and dessert. Kids between 4 and 13 years pay $1 per year of age, and kids under 3 eat free. Head over to the Nonbei Sake Bar And BBQ for all you can eat Japanese BBQ. Dig into dishes such as pork belly, stewed beef, chicken, salmon, crab, spring rolls, and much more. Children aged 6 to 11 years can enjoy the buffet for $24.90, and kids under 5 years eat for free. Adults pay $49.90. Open from Tuesday to Sunday, while offering Western, Mediterranean, and Asian dishes, Kippa-Ring’s Ariala Restaurant is a must experience buffet of Brisbane. The restaurant doesn’t have a set menu, which means two visits are never the same. Although as a guide, expect salads, seafood, curry, pasta, roasted meats, vegetables, steak, and dessert. Kids between the age of 3 to 12 years are charged from $10.50 to $18.50. Children under 2 years eat free. Adults are charged $37.50. The Redbank Plains Tavern’s Feast Buffet offers a variety the everyone can appreciate. Indulge in pizza, pasta, soups, roasted meats, Asian dishes, fresh salads, dessert, and much more. The buffet is open 7 days a week. Kids between 4 and 12 years of age are charged from $8 to $12. When dining on Friday or Saturday nights, booking is essential. If you’re looking for a delicious Japanese buffet, head over to the ShabuHouse. The restaurant offers all you can eat sushi, along with quality meat, soups, vegetables, and other hot foods. Drinks are not included in the buffet. The restaurant is open 7 days. Throughout the week, children’s prices vary depending on the day visiting the venue and the child’s age. Prices are between $13 to $22. Bills cannot be split. On the last Thursday of every month, Tempest offers an all you can eat seafood smorgasbord. From 5 pm to 9 pm, enjoy fresh, local seafood (prawns, Moreton Bay bugs, blue swimmer crabs, oysters, sushi, sashimi, nigiri, garlic prawns, squid, and much more), roast chicken, lamb, bread, salad, fruit and desserts, all while overlooking the scenic marina. Visit Shinbashi Yakiniku on either Monday, Tuesday, or Friday for their all you can eat Japanese BBQ offer. Visitors can choose from various styles of pork, fish, beef, chicken, and vegetables. Not to mention, there’s also plenty of entrees and sides to enjoy. For a 90-minute time limit, adults and children eat for $45 and $18 respectively. The Marriott’s Motion Bar And Grill hosts an extensive all you can eat seafood buffet every Friday and Saturday night. The buffet runs from 5 pm to 6:45 pm on Fridays and 7 pm to 9:30 pm on Saturdays. Prior booking is required. Prices vary between $79 to $89 per person. The Broncos League Club offers an extensive buffet, at great value, that the whole family can enjoy. Head down on Friday nights for a feast made up of pasta, roasts, salads, curries, and dessert, as well as a chef special. Adults and children pay $35 and $15 respectively. Children under 5 years eat free with every paying adult. Alternatively, stop by on Saturdays for the seafood smorgasbord. Enjoy all you can eat prawns, oysters, mussels, crabs, fish, pasta, roasted meats, salads, and a chocolate fountain for dessert. Adults eat for $55 and children eat for $20. Govindas offer their all you can eat feast meal for only $12.90, with vegan options available. Select from a range of dishes, including jasmine rice, mixed vegetable curry, lentil soup, vegetable puffs, tomato and herb chutney, lentil tortillas, garden salad, and fruit pudding with custard. Stop by Kai Kai Chicken to enjoy all you can eat fried chicken. For only $24 per person, dive into fresh chicken (with 12 flavours to choose from), loaded fries, onion rings, wedges, mash and gravy, coleslaw, garden salads, and dessert. Not to mention, tasty sauces made in-house are also on offer. Prior booking is recommended. A classic option that never fails to come to mind; Sizzler is always a safe bet in the vast world of buffets. 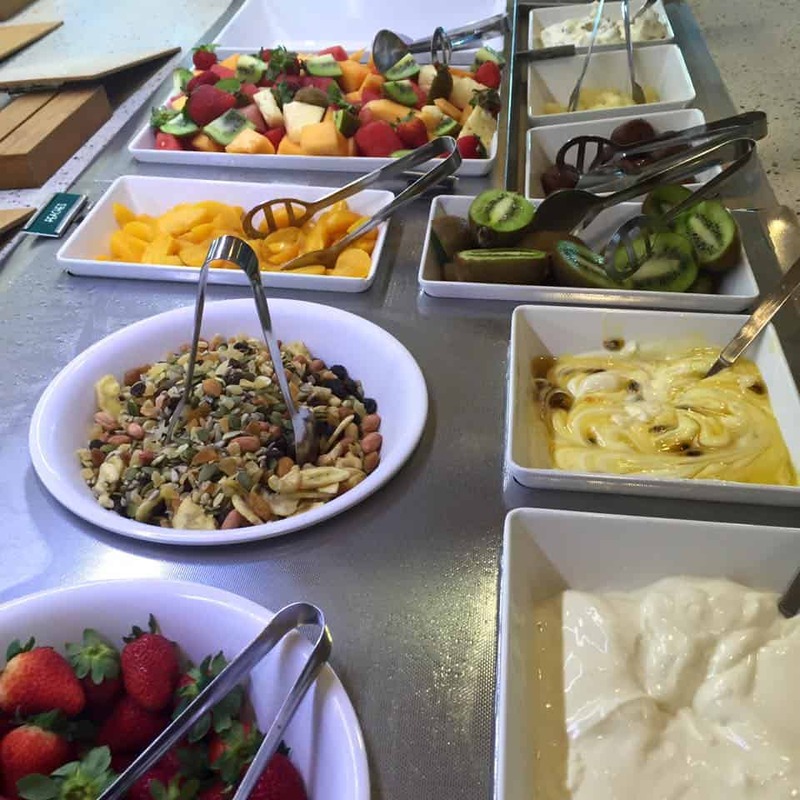 Enjoy the salad bar (all you can eat) for $17.95, including fruits, soups, a range of salads, pasta, and much more. Don’t forget to stop by the generous dessert bar, with both hot and cold treats available. Through great value and a wide selection, it’s no wonder Sizzler is always at the front of everyone’s mind. The Raceview Hotel offers their wide buffet range all week long for Lunch and Dinner. Enjoy tacos, curry dumplings, roasted meats, soups, desserts, and much more. Head over for Lunch between 11:30 am and 2:30 pm, or Dinner from 5:30 pm. Adults eat lunch from $22.95, and Dinner from $28.95. Kids eat Lunch And Dinner for $9.95. Add a ‘bottomless soft drink’ option for an additional $4.90. Experience the taste of Sri Lanka at Fire And Spice through their all you can eat buffet every Sunday. Starting from 6 pm, enjoy fried rice, naan bread, saffron rice, chicken curry, black pork curry, devilled fish, potato curry, beetroot curry, lentil curry, green bean curry, cabbage mellun, and dessert. The buffet costs $25 per person. Kids under 5 years of age eat for free. Kids from 5 to 12 years eat for $18.